It is common to say that Istanbul is caught between Europe and Asia and while this is correct it is just a small part of the picture. Others romanticise the fact that this has been a ‘world city’ for over two thousand years and talk up its ancient buildings and monuments as the greatest appeal of the city. They are probably right. Much is written about the Old City that once was called Byzantium then later Constantinople. For a first time visitor it seems to have it all – Roman ruins, great mosques and churches, huge city walls, palaces, 500 year old bazaars, intriguing museums and good infrastructure. No-one would think of visiting Istanbul without spending some time here. Less well known but also impressive is ‘New’ Istanbul just a few hundred kilometres across the stretch of water known as the Golden Horn. You are still in Europe but in many ways it is as though you are in a different city. Let me explain. In 1503 the Sultan wished to construct a bridge at the current location and he asked Leonardo da Vinci to produce a design. His design for an unprecedented single span 240 m bridge was rejected, however, and the construction of a bridge was not completed until the 19th century. The present bridge is the fifth to be built here and was completed in 1994. It has three vehicular lanes, a tram track and a walkway in each direction. Interestingly the bridge has two levels, with the lower level full of restaurants. 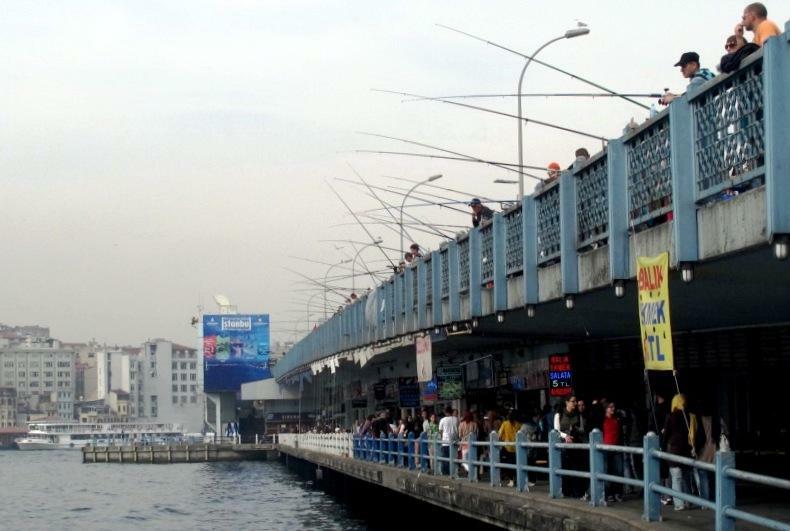 Vendors sell peanuts and various confectionary and drinks from carts on the upper level while hundreds of fishermen line the upper railings day and night, hoping to make a catch. When you cross the Galata Bridge you enter Galata which is almost as old as Constantinople but there are few relics from the early days. The area had city walls at least 1600 years ago and there was also a fortress here during early Byzantine times. In 1261, Galata became a semi-independent colony controlled by the Genoese. During the next few centuries this area became established as the European Quarter of the city with Jews, Moors, Greeks and Armenians living here. 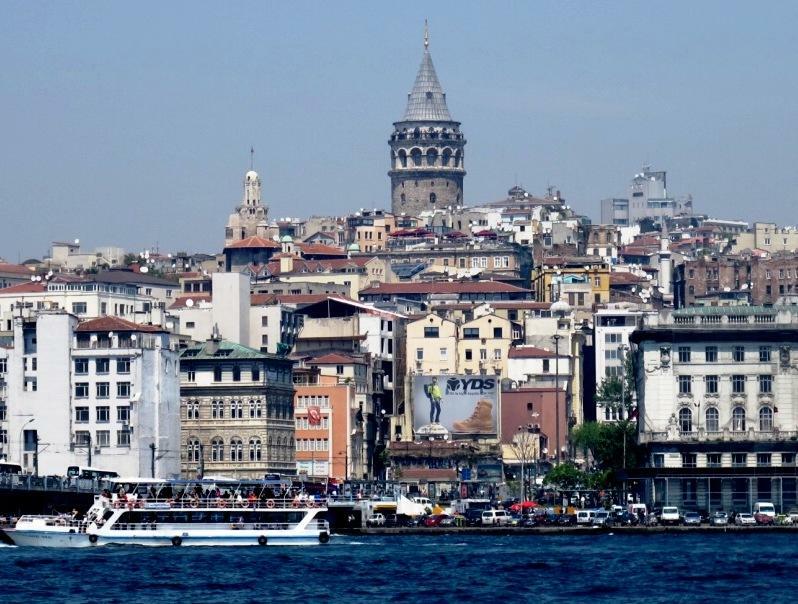 The 67 m Galata Tower is the most obvious landmark in Galata. It was built in 1348 as part of Istanbul’s fortifications and was restored in the 1960s. For many years it was used as a fire lookout tower. Today you can ride to near the top by elevator and the view from the narrow outside balcony is impressive. There is a cafe/restaurant with reasonable food and so-so service if you need to eat. For those who don’t like walking up hills, the Tünel is a godsend if you are coming from the Galata Bridge. It was conceived in the late 1860s and opened by The Metropolitan Railway Company in 1875. It was one of the first underground urban railways in the world. The Tünel was nationalised in 1923 when the Turkish Republic was proclaimed, and modernised and electrified in 1971, however,it is no world-beater in length, consisting of a single 555 m tunnel with one station at either end. When you climb the hill or exit the Tünel you are on Istiklal Caddesi, one of the most important streets in the city. It is lined with hundreds of shops selling just about everything you need, and much you don’t. 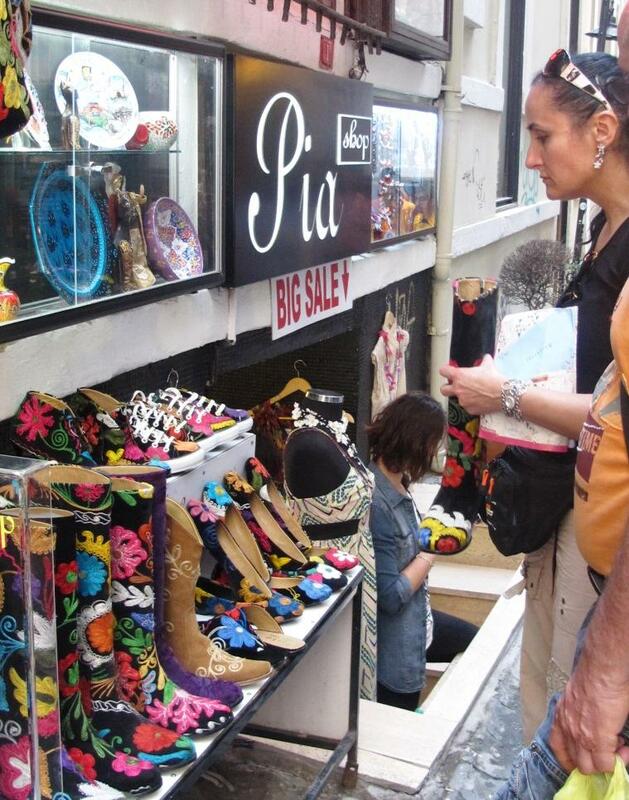 It has several large stores, street vendors of all kinds and small private shops. It is a fairly up-market area and a popular tourist destination so prices vary from obscene to reasonable. If you get tired and thirsty, there are plenty of cafes along the way for refreshments. I particularly like to walk up and down this pedestrian street on a weekend evening simply people watching and enjoying the atmosphere, but there are many bars to drop in on if you feel so inclined. Foreign governments established embassies in this Beyoğlu area and this cosmopolitan atmosphere can still be seen today in many historical and politically significant buildings. 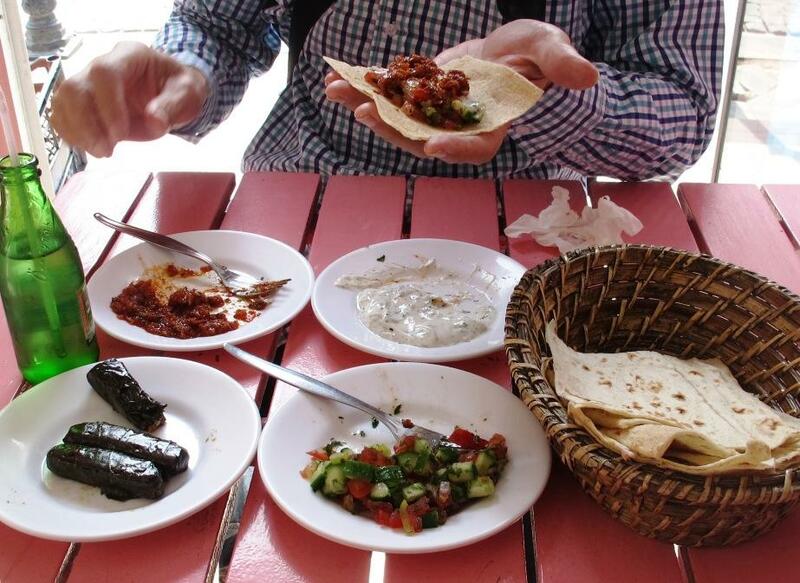 Enjoying the local food in Istanbul is one of the real joys of the city. Midway along Istiklal Caddesi there are a couple of beautifully restored arcades on the left. The most famous is Çiçek Pasajı (Flower Passage) which is outstanding and has several attractive restaurants inside. Prices here are not cheap but it is worth a look even if you don’t eat or drink anything. For something cheaper you can head through the nearby fish market and find some local eating places along Nevizade, a small street parallel to Istiklal Caddesi. While Nevizade is the name of a street, it actually refers to a whole restaurant and nightlife area, including the maze of small streets connecting to it. Every night the streets here are packed with people out for a good time. As Istiklal Caddesi nears Taksim Square there are more bars and restaurants and some visitors will be pleased to know that there are Pizza Hut, McDonald’s, Subway and Burger King outlets here as well as local outfits. Further north in the fashionable neighbourhood of Nişantaşı you find many excellent restaurants and cafes with many concentrated in short Atiye Street. Istanbul has some of the best shopping to be found in Eastern Europe with modern shopping centres, ancient bazaars, independent boutiques, design shops and thousands of street stalls. 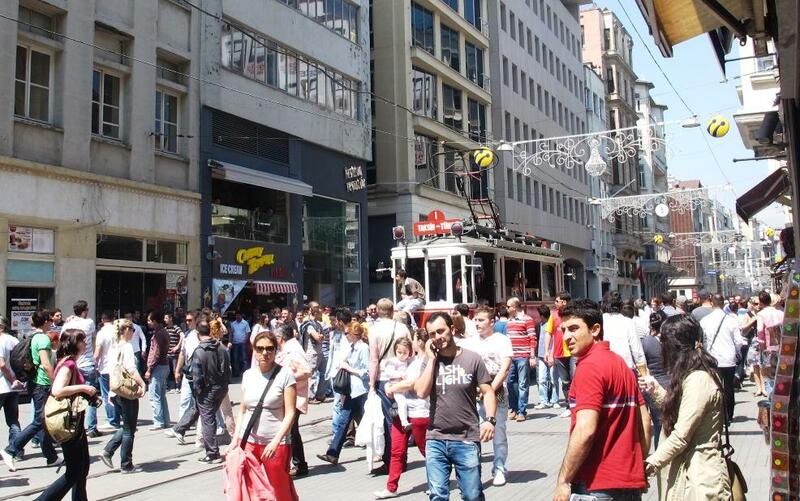 You can start shopping in Istiklal Caddesi, and keep going north. Cukurcuma is a charming area where rambling apartments house some of the finest collections of antiques, boutique fashion and kitsch in the city. To reach here go to the mid-point of Istiklal Caddesi then wander downhill in the direction of the Bosphorus. You can literally lose yourself in the many winding side streets and alleyways. Abdi İpekci Street, located in the Nişantaşı district about 2 km north of Taksim Square, is a 700 metre-long street that has developed into a place hosting luxury retail shopping venues and is currently the most expensive street for retail stores in the city. A variety of exclusive and expensive shops offering Turkish and international designer labels, restaurants of international cuisine and cafés line both sides of the street. You can find luxury retail stores such as Louis Vuitton, Prada, Cartier, Dior, Gucci, DKNY and many more. Not far across the Galata Bridge is Istanbul Modern in a converted warehouse. As the name suggests this is a museum of contemporary art and is well worth seeing. If you walk further you come to Dolmabahçe Palace, home to six Sultans from 1856 until 1924. The palace is set in well-tended gardens and entered via its ornate imperial gate but the only way to see the interior is with a guided tour. It is the largest palace in Turkey and is interesting but it is really a monument to extravagance, wealth, privilege, and some say vulgarity. Further on is Ortaköy, an artsy neighbourhood with two structures that dominate the area- the baroque Ortaköy Mosque and the First Bosphorus Bridge. The two together are a favourite subject for photographers. The charming waterfront hides a lattice of narrow cobbled streets filled with nice cafes and trendy small clothing boutiques and is a favourite place for anglers. A large market operates here on weekends while during the week there is a small market selling mainly jewellery and souvenirs. The area now has several nightclubs, expensive seafood restaurants on the quay, and theme bars. 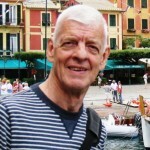 Len Rutledge is the author of Experience Istanbul available as an e-book from Amazon.